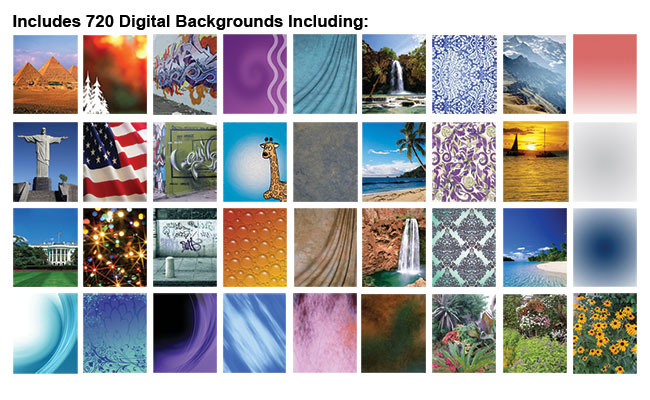 Software includes 720 digital images with a wide choice of themed locales, or use your own photos! 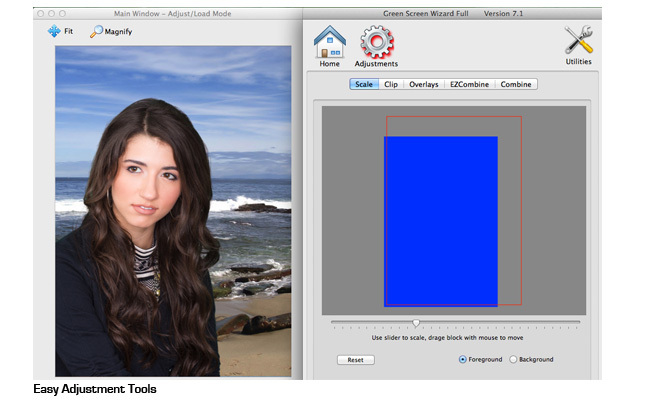 Using dynamic green screen technology and digital software, a simple photograph taken against a green screen cloth can be dropped into a locale or landmark from anywhere around the world. 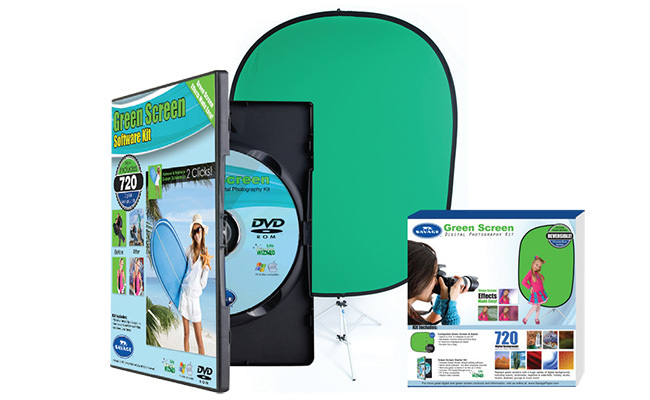 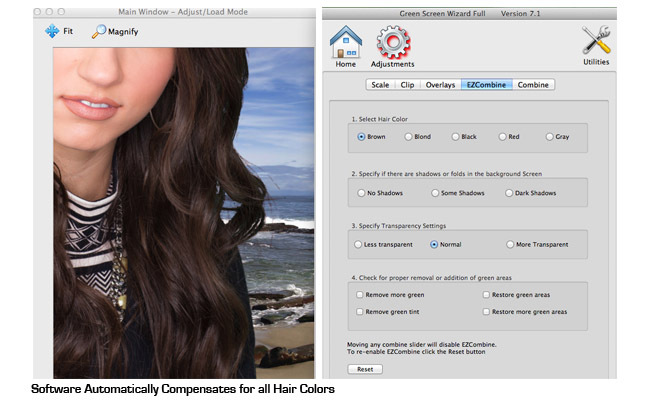 Our Green Screen Photo Creator Kit makes such photographic wizardry a snap with our easy-to-use Green Screen Wizard software, featuring 720 digital backgrounds, and a 5’ x 7’ professional-grade green screen backdrop. 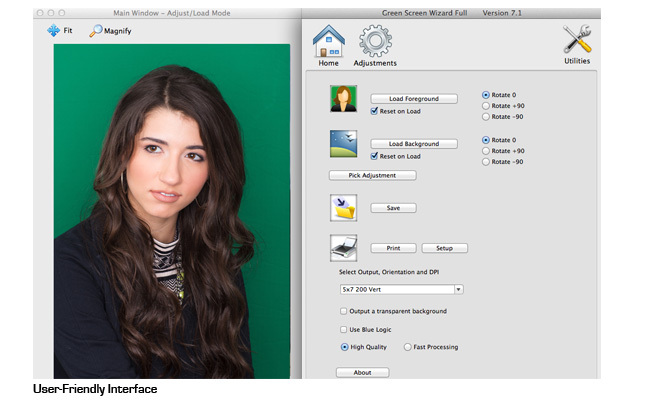 A great introduction to chroma key technology. 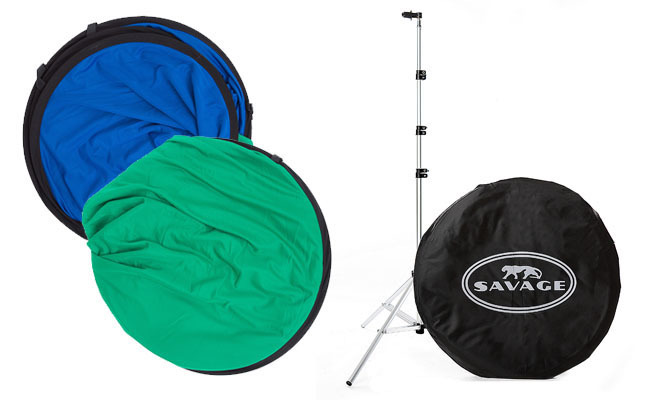 Available Upgrades: Choose a 5'x6' double-sided collapsible Blue/Green Screen with stand in place of the 5'x7' fabric backdrop included.